thank you for joining SEO in Practice! I do hope to be helpful, and I trust your opinions a lot. Anna, I understand your point, but while the book isn't ready yet, the quizzes and certificate aren't either. But I think it's a question of just a couple of weeks. so thanks for the invitation ! I come from Indonesia and its always been a pleasure to use your SEO Spyglass tool, as well as reading all your tips and tricks on your website. This idea of SEO in Practice is great because it teaches us, the ordinary people (newbies) to learn an master SEo the easy way. Keep the good things up ! Seems i've seen the best of the first chapter already. Nothing really new...but looking forward to the next chapters! Hi Dan and thanks for the invite. I've been using Link Assistant tools but not sure I'm getting the most out of them. This Guide is exactly what I needed! I hope I can provide you some constructive comments from a professional editorial/instructional perspective. Best wishes for success with the guide! Thanks for your invitation to the SEO guide. I'll read it with close attention, and hope I can solve and old trouble, which is that I have only visits to my home page. No one of my internal pages are ranked (and visited). a big hello from Germany, and I'am very interested in your SEO guide. And if you want to make it available in german language, maybe I can translate it for you. Because I've also translated the link-assistant software interface into german. But in all, I want to learn a "little" bit more about functional and proofen techniques. I am thrilled that you have assembled this site and that I passed with flying colors on your first chapter. I was disappointed to find, however that I could not continue as the course is not complete yet. I just started my own home-based business as an SEO Strategist and I was looking forward to displaying my certificate on my little site. As the course is not complete and I have aced what there is of it, is there any way to get a completed certificate to display?? May I ask you a serious question, you want to provide professional SEO Service to Buisiness Owners etc.with your cute Website,0 optimized for any Keywords. (h2 tags = "for affordable prices")what is affordable prices? The lawyer to sue you. The current Alexa Rank of your site (built in 2008) is 23.357.654 !!! and asking these questions for a Experts lable. Are you serious? If you dont know how to copy images/ graphics from a site to steal it, you will never get one! 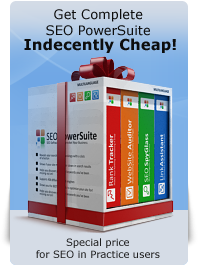 You are seriously offering SEO Service to clients, without even knowing the basics. "We are working on bringing you samples of our work. In the meantime, please call us and we will personally provide samples, search engine successes and client references." such as your own website? I am sorry, this is first time of criticise s.o.here, but I am totally angry about the insolence, asking for a free SEO Experts Ceritficate with these expertise, it makes me incredibly angry, and to claim, that you were a trainee of Bruce Clay , is the top of impudence. Now you want SEO in Practice giving you a certificate, for a test, every interested SEO trainee will pass easily? You make me sick. Sorry thousand times for this agressive language, but it makes me sick. Who would put his signature under your service? Dan sorry, even if you have to delete this, I`ve never seen such an impertinence. Dan, thanks for offering your tips. Looking forward to start reading the guide once I get out of the office! Thank you for your efforts in making your tips available. I'll give it a read, take a few notes and be sure to shoot off a few questions or comments. I'm guessing the discourse following review will be a most valuable asset on the site. I look forward to being a part of that.